That's it. Now you will have your subtitled language in game. All related to each other. We depend on high-tech novelties of the market, because only through them know what is happening in the world. But progress is a dark side. Our every action leaves a trace: every move, every stop, everything we like or dislike. And it's not just us. Megacities enmeshed in digital networks. Urban infrastructure is controlled and operated by a complex system. Chicago submits Central Operating System (ctOS), namely it contains information on all residents. And anyone who gets access to it, would gain control over the city. Aiden Pierce - a prominent hacker with a criminal record, whose actions have caused the tragedy. To avenge his family, he goes on the warpath - and you with it. Aiden is able to hack and use anything that is connected to the city information network - all that surrounds it. Access to security cameras, loading personal data, tracking the location of people, control traffic lights and public transport ... Chicago itself becomes your weapon. You just need to learn how to use it. Watch_Dogs events occur in carefully recreated Chicago, whose life can be controlled by the usual smartphone. Switch the lights to the pursuers are stuck in traffic. Hold the departing train and jump into it to break away from the chase. Dilute bridges to close the door. In a city where everything is connected, Central Operating System will be your assistant. Use for their own purposes, not only central operating system, but also the city streets themselves. In the virtual Chicago you can take a shortcut through the building or climb onto the roof to ambush prey. Chicago has its own laws. Here to meet violence with violence, and you have enough strength and skill to adopt rules. Melee and shooting real as ever - realistic physics games give odds to many representatives of the genre. At your disposal will be more than 30 weapons. In working on the game participated studio Ubisoft Reflection - creators of the series Driver. Chicago can move on driving more than 65 various vehicles. Each of them is carefully modeled and behaves on the road most authentic. 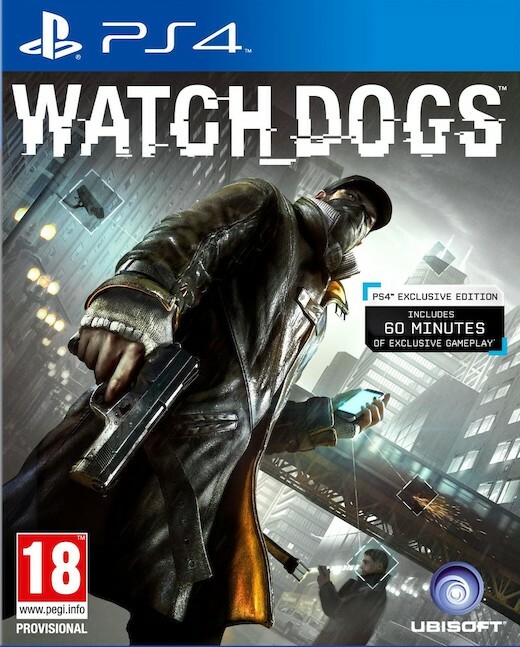 At the core lies Watch_Dogs brand new, specially designed technology. You will enjoy incredible graphics and authentic realism, your actions will affect the course of history and human life, and the consequences of decisions will diverge in a virtual world like ripples in the water.